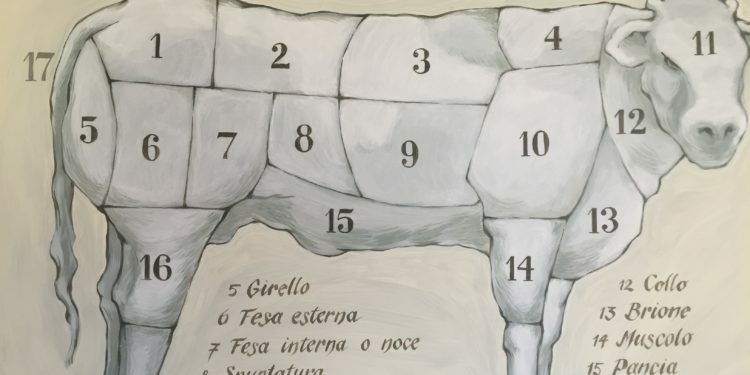 Here in Umbria and Tuscany butcher shops are our boutique where we love shopping 2 times per week..at least! 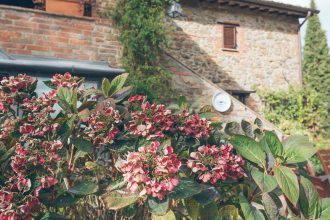 What to Buy first: First of all the Chianina that comes from Val di Chiana and guarantees us the finest taste. It is extremely flovury and with a low fat content. This is an IGP product of Umbria and Tuscany. Second, Maialino di Cinta senese (Tuscan senese pork). This is our favorite and we love in particular, guanciale di cinta senese to make our Matriciana and or Carbonara Pasta! Also the lardo di cinta senese (Cinta senese Lard) to meld with your finger into the toasted bread. The Lard of Cinta senese is a Slow Food Presidium. The pigs grow free in the forests eating grass and and corns. Luca at Po Bandino, you can go in our name. The original name is Ansano, here is the website for you: https://www.macelleriansano.com/ Be patient if you find the sign “Torno Subito” on the shop window, this is a family run business and sometimes they have to run for their kids! 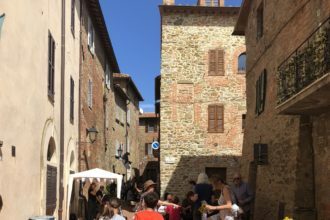 Shops in Tuscany are usually opened by 9.30 AM to 1.00 PM and by 4.30 or 5.00 PM in summer to 7.30 PM – Never on Sunday – Local food store all are closed on Thursday in Umbria and on Wednesday in Tuscany.